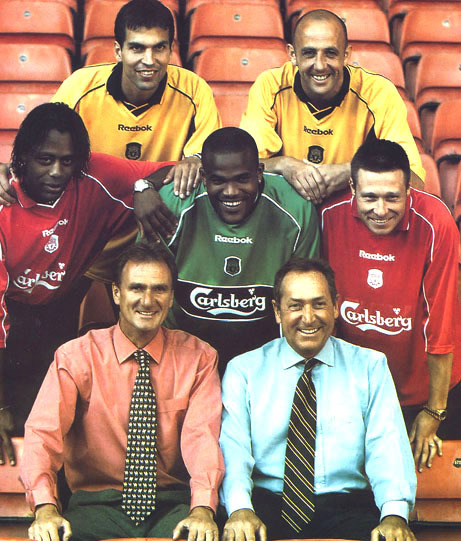 Houllier's recruits in 2000-2001 - LFChistory - Stats galore for Liverpool FC! There has been a lot of activity on Liverpool's behalf in the transfer market in the summer and we wanted to refresh your memories how Liverpool has done in the market in recent years. Liverpool's summer signings in 2000-2001 raised more than a few eyebrows. Nick Barmby was the first player since David Hickson to be transferred from Everton to Liverpool and Gary McAllister was seen as probably way past his best at 35. The six players that arrived to Liverpool in the summer played on average only 43 games for the club. Pegguy Arphexad, 6 games. A cover for Westerveld that hardly inspired confidence in his defenders.